(2003/BR) 40 tracks, original recordings 1963-1973, 16 page color booklet! 02 What's It Gonna Be? Born Mary O'Brien in London's Hampstead district on 16 April 1939. She performed with her brother Tom as a semi-professional folk duo in summer camps as early as 1957. The following year Dusty Springfield joined the Lana Sisters. In 1959, together with her brother and Tim Feild (later replaced by Mike Longhurst-Pickworth alias Mike Hurst), she founded the trio The Springfields, which received its first contract with Philips in 1961. Of ten singles released by 1964, five reached the UK charts - one only appeared after the three had already split up. 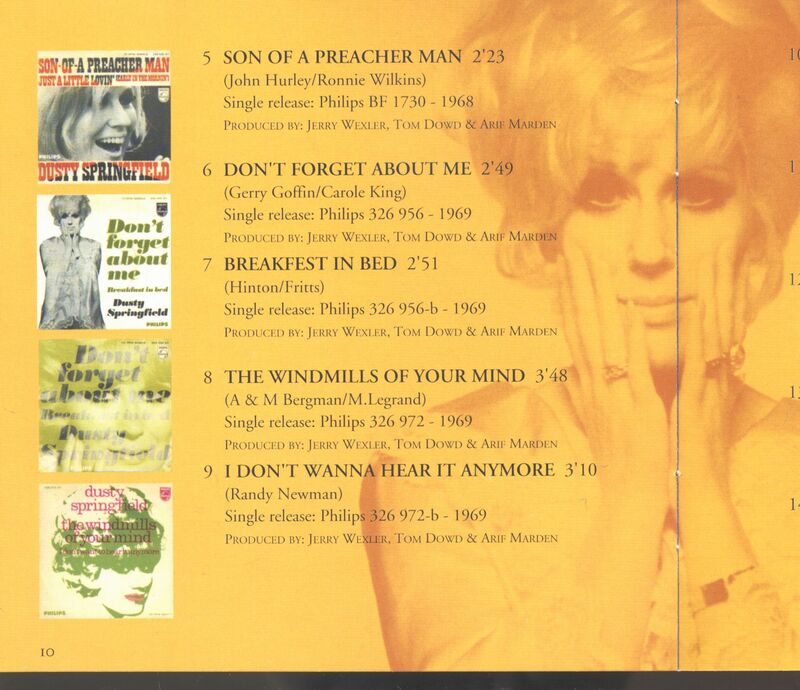 Dusty Springfield continued as a soloist. Their debut single was released in November 1963. Thanks to her outstanding voice she quickly became one of the most sought-after singers in England. In December 1964, it made the headlines in a different way. At a concert in South Africa, she refused to sing in front of an audience that had to sit separately by skin colour. The result: a few hours in jail and deportation. In 1967 she sang'The Look Of Love' for the James Bond film parody'Casino Royale'. Hits like 'I Only Want To Be With You', "I Just Don't Know What To Do With Myself', 'You Don't Have To Say You Love Me' made them famous on all continents. Further hits like'I Close My Eyes And Count To Ten' and'Son Of A Preacher Man' followed. Their LP highlight was "Dusty In Memphis', recorded with local stars. During the 70's it became quieter around the singer, between 1980 and 1984 there was complete radio silence. This was followed by a single in duet with Spencer Davis (' - Private Number') on the small allegiance label (ALES 3). 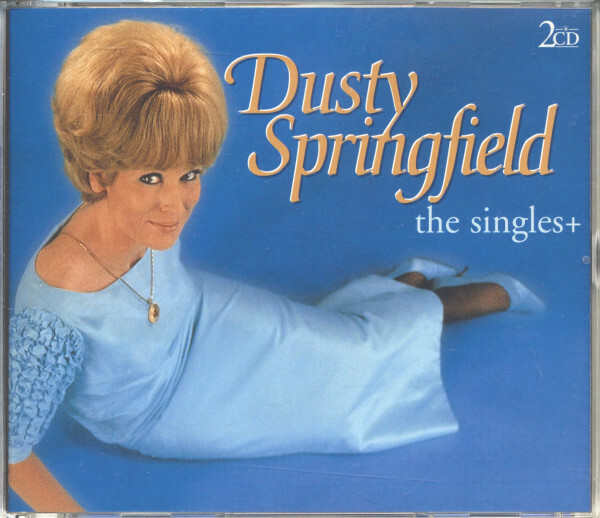 Dusty Springfield made a top comeback in 1987. Their single "What Have I Done To Deserve This', recorded together with the Pet Shop Boys, reached number 2 in the charts. A following duet with Richard Carpenter ( -'Something In Your Eyes' - A&M) failed the audience. Also their only German-language single had not been able to place itself 23 years before in the hit lists. Dusty Springfield died on March 2, 1999, after a long and serious illness, and the cream of English pop music of the last 30 years appeared at the funeral ceremonies. Countless personal letters of condolence - for example from Queen Elizabeth II and other members of the English royal family, from politics and the entertainment industry - underlined the exceptionally high reputation of the class singer in her home country. Guitarist and singer Mike Hurst drew attention to himself once again in September 2000. In ten years of musicological work as a researcher he had found out that war songs from Lower Saxony are the real origin of rock music. Customer evaluation for "The Singles, plus (2-CD)"